Joel I. Sher heads the Firm’s financial restructuring and bankruptcy practice. He represents debtors, creditors, and creditors’ committees in Chapter 11 bankruptcy cases and counsels clients in complex out-of-court workouts. Described in Chambers as “knowledgeable as anyone you would ever meet” and “an aggressive and very experienced” litigator, Mr. Sher has successfully represented clients in numerous high- stakes cases in courts throughout the United States. Mr. Sher’s experience in representing debtors and creditors in bankruptcy and restructuring matters has covered a wide array of industries including: mortgage REITS, financial services; health care; real estate development; construction management; specialty retail; governmental contracting; manufacturing; and telecommunications. He has also represented numerous clients in the sale and acquisition of distressed assets. As a known and experienced negotiator, Mr. Sher is often retained to negotiate resolutions to complex commercial disputes. Mr. Sher’s appointments as an operating trustee and liquidating agent for a number of operating businesses include: a government contractor for the Department of Homeland Security and FEMA; a developer and owner of real estate and business interests in the United States, Australia, Spain and the Netherlands; a national bottling company; and a variety of operating food and hospitality businesses. 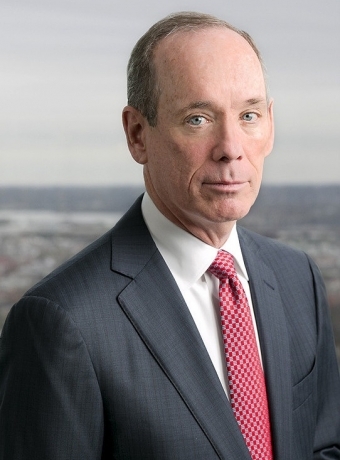 Mr. Sher currently serves as the Chapter 11 Trustee in the reorganization of TMST, Inc. (formerly known as Thornburg Mortgage, Inc.), a multi- billion dollar REIT which was one of the nation's largest residential mortgage originator, servicer and investor. Counsels to investors in their acquisition of distressed assets in various retail bankruptcy cases. 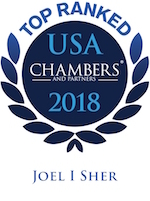 Chambers USA names Shapiro Sher Guinot & Sandler among the leading firms in Maryland. Barclays Capital, Inc., offers to pay $23 million to settle claims brought by Joel I. Sher, the court-appointed trustee overseeing the liquidation of TMST, Inc., formerly known as Thornburg Mortgage. Cited in Chambers USA 2010 - 2017 among the leading lawyers in the United States. Ranked in Band One for bankruptcy litigation in Maryland.